I had no idea Madrid was also infested. A Senegalese street vendor (illegal counterfeit goods?) avoiding inspection was chased by the police in central Madrid and collapsed and died of a heart attack. 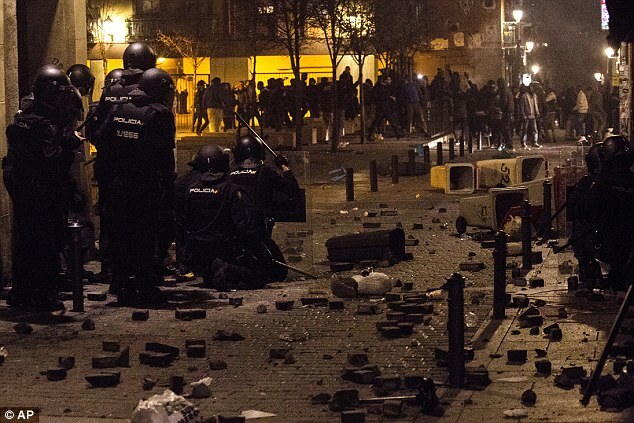 The riot occurred in my old neighbourhood of Lavapies which used to be a typical working class area when I lived there. According to newspaper accounts it is now largely populated by Africans and Muzzies. Adios España. If only we could go back to the times when the majority of problems in Spain were caused by the gypsies.